The Walk-around Cabin design on this model provides protection from the elements while maintaining full round access found only on much larger models. The Centre Cabin will suit anyone who is looking for a boat that has the layout and features of 6 — 6.5m boat but without the extra towing, running costs and launching issues. 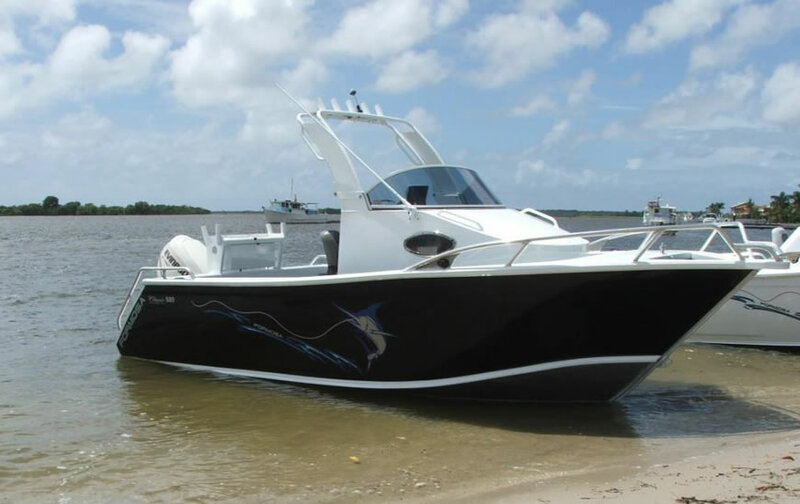 A good boat for anyone looking to spend more time in open water fishing or those who are downgrading from larger vessels but still want the option to go back to their favourite spots. The Rocket launcher can be folded down to allow for under roof storage.